Low carb and Keto Diet are the most effective ways to lose weight healthily. If you are starting this program, I would love to congratulate you on making the right choice of diet. However, knowing the best diet to choose is one thing, succeeding is a different ball game. The good news is, you have found the answer. Below are seven tips to succeed with low carb diet or keto diet. As crazy as this may sound, it is the truth; sodium intake should be low when you are on high carb diets. High carb diets mean a higher level of insulin; it makes the kidney retains sodium. Keto or low carb diet, on the other hand, helps you to lower the insulin level or balance; your body secretes more salt since there are no carbohydrates available in the body to trigger insulin and hold onto sodium. You need to add an extra 3 to 5grams of sodium in your diet when you are in ketosis; it will prevent electrolyte imbalance. You can increase your salt intake by adding pink salt also known as Himalayan sea salt to your water all through the day. The pink salt contains natural trace minerals. Secondly, drink organic bone broth, eat cucumbers, celery, and salted macadamia nuts. Another way to ensure your keto or low carb diet is a success is when you add batch cooking delicious keto-friendly meals. There are many keto meal prep ideas you can try with chicken, beef, cheese and salad. It will help you stay on track with the keto macros all through the week. It gets you set for the week so that you will not slip up when it is lunch or dinnertime. Some of the healthy fats you can include in your keto meals are olive oil and coconut oil. Olive oil is great for salads and coconut oil is great for cooking and frying. They are much healthier options compared to vegetable oils such as canola oil. One of the best ways to see a positive result in your low-fat diet or keto diet is through intermittent fasting (IF). It enables your body to get into ketosis, which helps you to lose weight faster. Intermittent fasting means you cannot eat or drink any food or drinks that contain calories for a given period. The reason why IF is effective is because it manipulates your body’s mitochondria in the same ways as the ketogenic diet to increase your life span. Moreover, when you do not eat calories for a few hours, your body starts using all of the excess glucose, which is stored in the body attained from eating carbohydrates. Here is how it works; for your body to start using fats for energy, it needs to first burn through glucose that is present in the body. 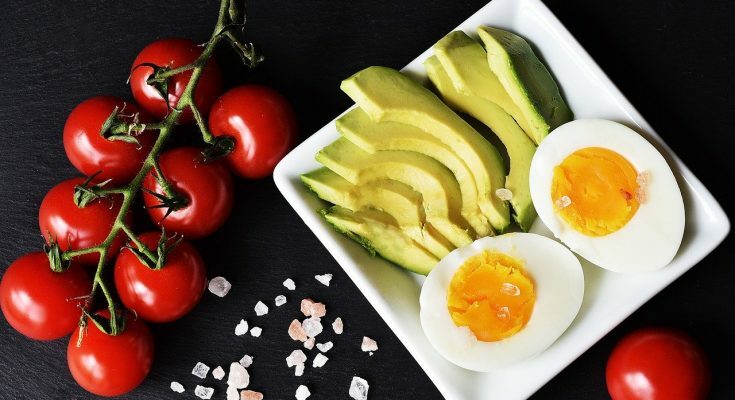 There are several ways you can indulge in intermittent fasting, and the typical approach is to skip breakfast in the morning especially when you are a beginner. However, you can consume 80-90% of calories from fat for an allotted time (not more than three days) while limiting everything else. This type is for people who are keto-adapted (fasting is a usual way to burn some fats or weight loss plateau. No matter how good your diet is, you cannot achieve your desired body shape without exercising. You need to maintain a regular exercise program that will help you achieve your fitness goal, also keep you healthy. Working out as a lifestyle and not just once in a blue moon thing can enhance your ketone levels and enable you transition into a low carb, high-fat lifestyle faster than not exercising. We know it is difficult to leave a completely stress-free life; some are even stressed out without knowing they are. However, decrease anxiety or indulging in things that trigger stress hormone (cortisol) in your body. Cortisol spikes your sugar levels, which stops your body from burning fats for energy due to the high level of sugar in the blood. Lack of sleep increases the levels of stress hormones; they stop you from activating the fat-burning mode. You want to succeed with a keto diet; you need to maintain a proper sleep schedule where you to bed at the time every day to improve the quality of your sleep. This is one of the sacrifices you need to make when you are on a keto diet; if you must see results, you need to stop soda and sugar substitutes. Just because it has zero calories do not mean they are good for your keto diet. Moreover, diet sodas use sugar substitutes, which can signal to your body that a large amount of sugar is entering the system; this, in turn, increases the blood sugar levels.